About ten years ago, Ankush Sabharwal was traveling by train from Delhi to Bengaluru. A fellow passenger got unwell, requiring urgent medical attention. Unable to find any medical help on the train, the passenger had to wait for another 1-2 hours to get down at the next station. Later, Ankush found that a doctor had been aboard a few bogies away, but nobody knew. Had there been a shared communication network among the passengers, the doctor could have been informed and the patient could have received first aid promptly. This experience made Ankush realize that there was a need for a medium which can connect travelers to synergize and help each other. The idea kept floating at the back of the mind as he juggled between various jobs and entrepreneurial ventures. A few years later, he was eventually able to give wings to his idea and that’s how CoRover was born in Bengaluru. Like in the case of most startup entrepreneurs, Ankush has been through his share of challenges. “Identifying the right talent within my budget to execute my vision was the foremost challenge. In the bootstrapping phase, limited resources made me look for outsourcing alternatives in the beginning. Freelancing marketplaces like Upwork and Fiverr helped significantly in getting things off the ground,” says Ankush. Given his 13+ years experience in software product development, Ankush was passionate about debuting with his own tech-product. However, what he didn’t anticipate that creating Minimum Viable Product (MVP) that fulfills the core requirement at minimal cost would be such a tricky affair. After several trials and tribulations, he launched the product in the market to test the Proof of Concept (POC). Post that, it has been a continuous process of improvement for this startup. Due to lack of capital in the seed phase, Ankush liquidated his personal assets and took a bank loan. In order to restrict the outflow of capital, he drove a hard bargain with vendors for favorable credit terms. Ankush also assumed that CoRover app will gain traction through limited marketing efforts. Over a period, he was proven otherwise when the platform demanded a significant amount of resources to boost customer acquisition and engagement efforts. It was at this juncture that he switched the business model to B2B2C which has proven to be successful. CoRover is a SaaS-based mobility platform. It has emerged as an award-winning digital communication tool and is being widely in various domains such as travel (train/bus/flight), hotels, events, schools, colleges, apartments, hospitals, pilgrim tourism, helpdesk/service desk, marketplaces/merchant-vendor connect, etc. Facilitate centralized registration through CoRover or service provider enabling deliveries, information and feedback systems. Offer services as a consumer app, API/SDK and in white labeled versions. Offer expanded services to include operational messages, trusted vendor services, etc. Build sound business relations with strategic partners. CoRover Connect – It is a QR Code-based group messaging that connecting registered members with each other, with staff and service providers. The users can text or share location, images and URLs via group and private messages with privacy control and other useful features. They can access a real-time digital tourist guide to explore nearby offers, activities and things to do in a particular location. The beauty of this app is that the chat interface works with and even without internet or SIM card (mobile data or mobile network). During panic or emergency situations, a single tap button will assist users to source quick help to their location and reach out to doctors, police or other support desks. The users can also use the app to make payments to local vendors and provide feedback to service providers. With more than 230 reviews in Android Play Store, CoRover Connect has a 4.55/5 rating. CoRover Trips – It connects co-passengers traveling together in a bus, train and flight worldwide in real-time. Basically, it is a social network for travelers. CoRover Trips has received 104 Reviews in Android Play Store and 10 Reviews in Apple App Store with an average rating of 4.54/5. CoRover has found its patrons in major travel operators such as Karnataka Tourism, SRS Travels and Leisure Routes. It already has around 30,000 downloads/users. The collaboration with Karnataka Tourism, Karwar and Uttarkannda district administration to launch its app in Murudeshwar fetched the much needed visibility that CoRover had been eyeing for. 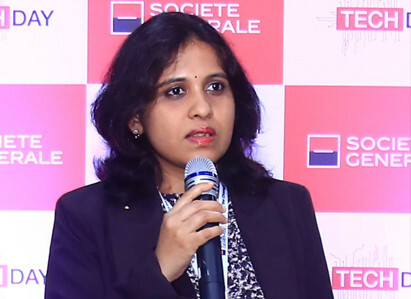 Within a month of its launch, the app has connected over 3300 tourists with 18 types of curated services such as sports, bookings, emergency facilities, local festivals and other miscellaneous services. The Karnataka Government has even sent a letter of appreciation to CoRover for its contribution towards lifting tourism prospects in Murudeshwar. CoRover is on its way to acquiring international clients as well. It has expanded its physical presence to Japan Israel, Ethiopia and Zambia. 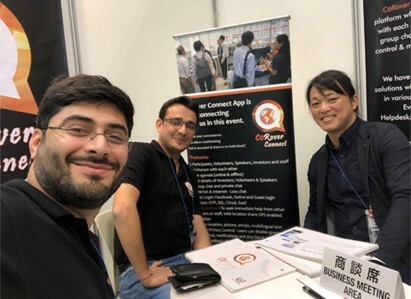 In Nov 2017, CoRover represented India in the world’s leading IT Conference in Japan which was attended by more than 50,000 participants and exhibitors from various countries. Dr. Poornima Rupal, Diplomat from Embassy of India, Japan launched CoRover Connect in Japan. Companies from Japan and other countries have expressed their consent to enter into joint venture with CoRover to launch its products and services in their respective countries. In fact, Kawasaki-based corporate WIREDGATE Inc has already commenced the legal formalities for the association with CoRover. Chat based service desk for Japanese bus operators. Digital collaboration platform for the new smart city of Okayama. Digital communication platform for 2020 Olympics. Best Mobile App (Travel/Social Space) by BMA, USA. One of the Top 5 product companies to represent India at DLD Tel Aviv Tech Festival organized by NASSCOM Product Council. 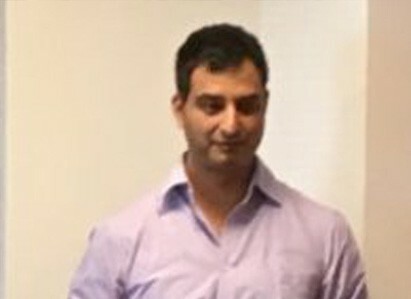 CoRover Connect was launched in Israel by Mr. Avinish Sabharwal, MD Accenture Ventures. Featured in Top 10 Startups in India by Headstart. Featured in Top 50 Startups in India by Conquest, BITS Pilani. Selected in 2020StartUp Accelerator in New York. CoRover has been incubated in the NASSCOM 10000 Startups programme and has derived substantial benefits since then. 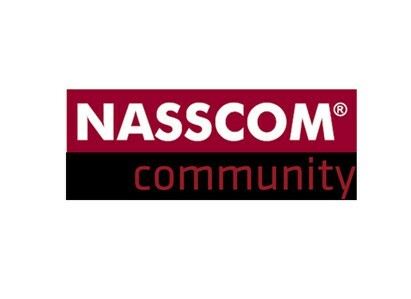 “The recognition by NASSCOM is a key milestone in our startup journey. 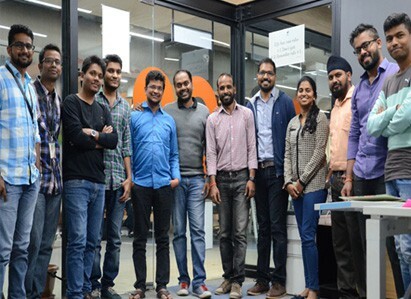 We have been able to connect with the right partners, access investors and international markets, and even benefitted regarding free hosting space and zero transaction fees,” says Ankush. While CoRover has experienced huge success in its initial phase, faster execution now is proving to be critical to its success in the future. The journey to next phase is fraught with a new set of challenges. Ankush elaborates, “We need an infusion of capital for scaling. So, we are actively focusing on securing funding from venture capitalists. Time management is proving to be a major challenge as CoRover addresses a larger scale. 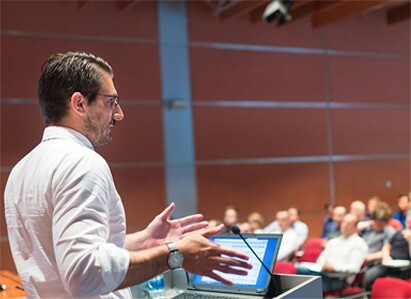 There is so much to do – manage teams, talk to customers, meet prospective clients, build affiliates and partners, think about future strategy, the list is long! I am learning to set priorities, delegate tasks and choose the right things to focus on, but it’s not easy.” Ankush has been investing 18-19 hours a day in his startup. But, it is a ride that he looks forward to every day. CoRover is solving the problems that millions of travelers face in India. With CoRover installed on their smartphones, they can put all stress aside and experience the real joy of traveling.